It is a remarkable event dedicated to creative packaging that has made its mark as the market reference trade fair, at the forefront of trends and innovations. At the forefront of innovation with 200 exhibitors solely selected based on their know-how and achievements within luxury sectors; which includes world class exhibitors, attesting to Luxe Pack Shanghai's unique position in Asia. At the forefront of trends with exclusive dedicated areas on new materials and new technologies, for inspiration and a global view on new packaging solutions. The Luxe Pack Shanghai trends incubator by cent degres agency will offer a workshop and presentation on future packaging trends based on 10 specific elements within the Chinese culture. A forward thinking 2-day conference program with top-notch speakers and brands representatives, to broaden minds on strategic hot topics. Through its common thread: “Heritage allied to new technologies”, LUXE PACK SHANGHAI 2017 will offer a global vision of how packaging can evolve to become more creative and smart by offering new uses and/or experiences. An inspiring and leading platform for creative packaging in Asia! An Even Larger Exhibitors’ Offering with World Class New Exhibitors. In 10 years, Luxe Pack Shanghai has proved to be the unique platform in Asia for creative packaging. 200 exhibitors strictly selected among the best in Asia and worldwide will present their expertise and latest innovations. New exhibitors will participate and provide visitors with a larger view of the packaging sector! World class leaders and glass makers Groupe Pochet and Bormioli Luigi, as well as Unipack Korea, Merck Display Materials, Konica Minolta, Nianxiang Design, Metsa Board or Rako design, just to name a few, will participate for the 1st time, using Luxe Pack Shanghai, as the best gateway to access the Asian luxury market. Dedicated Areas at the Forefront of Trends Providing Inspiring Global View New materials, new technologies, Luxe Pack Shanghai trends incubator…exclusive inspiring areas to enrich the visitors’ experience! For the 1st time and solely exclusive for LUXE PACK SHANGHAI 2017, a new space dedicated to new raw materials: the LUXE PACK Innovative Materials by Neuni Materio. A selection of hundreds of the most unique materials for retail packaging. See how packaging can be elevated and offered unique branding elements. A conference on” New Materials & Customization changing the dynamics of packaging industry” will be presented on April 13th. New technologies already integrate the packaging sector. 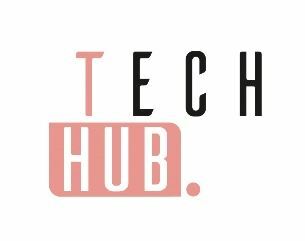 On the brand- new “Tech Hub” zone, visitors will experience in live demonstrations, how new technologies can help interact with the consumer and/ or learn more about the product life and use, and propose new prototyping or design solutions. 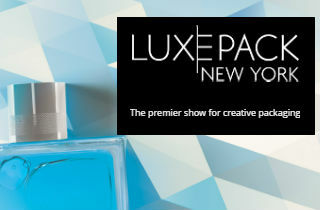 Based on last year’s huge success, Luixe Pack trends incubator in collaboration with design agency Centdegres is renewed. An artistic installation that will offer inspiration based on 10 Chinese cultural elements. A true journey at the heart of Chinese industries offering brands elements to realize future developments, based on China related themes to discover and explore. A Nourishing Program Based on Today’s Industry Hot Topics Luxe Pack Shanghai has prepared a rich calendar of free conferences and debates with the presence of professionals and experts of the sector, allowing the attendees to obtain industry updates about trends, market and design…based on the common thread “Heritage allied to new technologies”. Visitors will learn about the Chinese heritage as an answer to today’s consumers’ expectations, about perfumes in China, smart packaging solutions, design and color trends, or else about digital transformation of luxury…among many other hot topics. Not to forget the Guest of Honor, Peter XU, Fashion blogger with 4 million followers on Weibo for a 360° digital luxury vision!